We have a passion for our Soldiers. 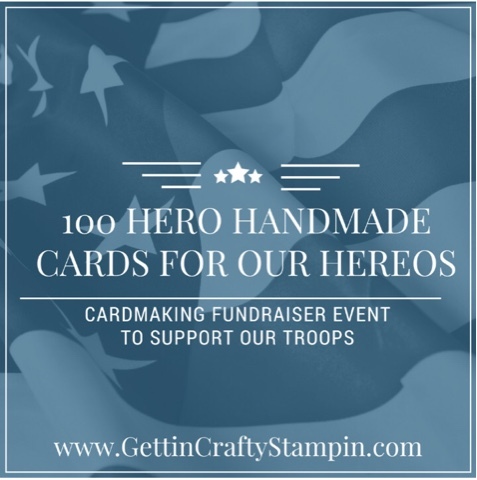 With veterans and moms/family of deployed soldiers in our Gettin' Crafty Stampin' Family we are passionate about supporting these brave men and women who are protecting our freedoms. 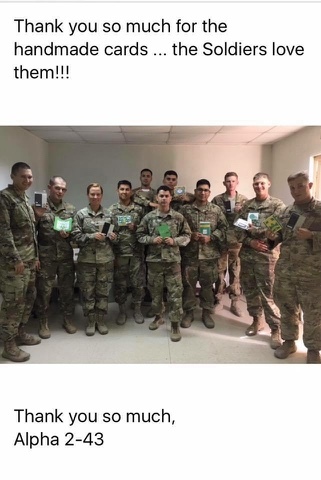 We send handmade cards to our soldiers each month with care packages and Christmas packages and more. 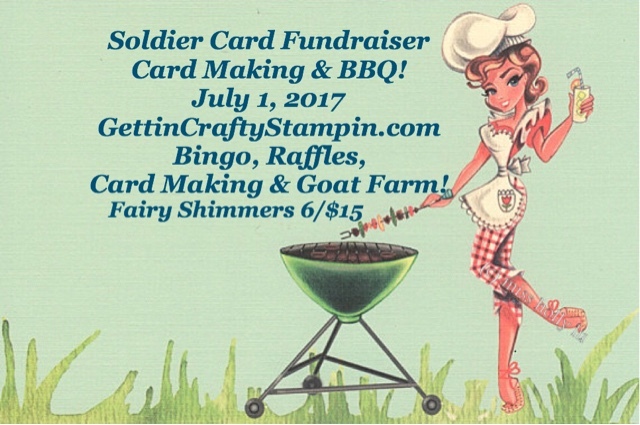 We would love YOUR Help in Supporting the Soldiers at our upcoming 100 Heroes for our Heroes fundraiser. Those deployed do so much for our freedoms here at home. We've been asked by the troops for some kids cards, cards that they can send home to their children. Nothing better than - SUPER HERO Cards! We will be creating 6 hand made cards (2 of each three designs) with a Wonder Woman, Batman and Captain America handmade card you can keep and send! We love what we do and were so blessed to receive this award for our efforts. 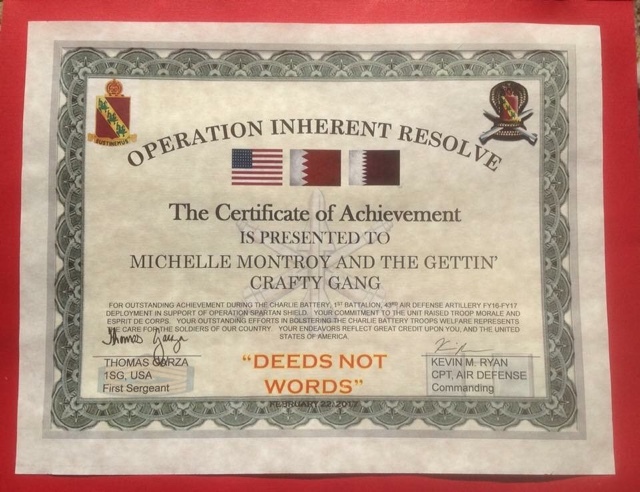 With Michelle heading up our care packages, she is there to support their needs (including making a soldier her wedding invites with other members of our crafting family as a gift). God Bless our Soldiers, their families and our veterans. 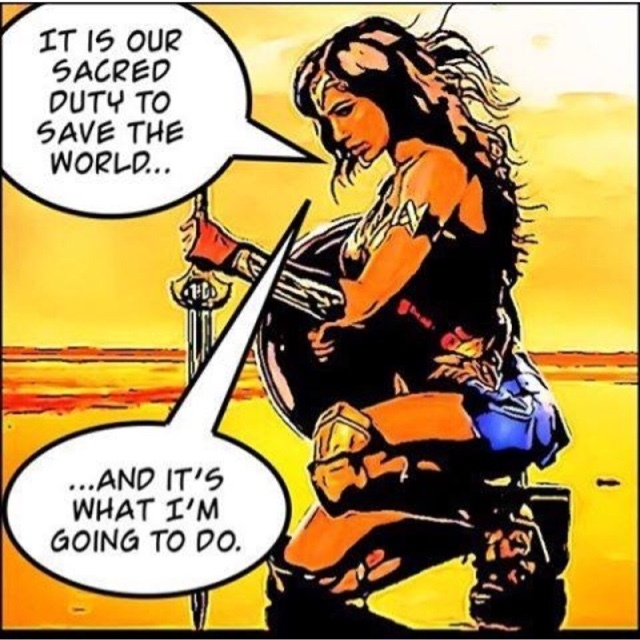 God Bless the USA! ~ Maggie with Fairy Shimmers will be doing 6 Shimmers (making 12 in your hair) in hundreds of color options and donating towards our care packages. Using this Hostess Code ( XJ49EVEN ) at Check Out and 20% of ALL Sales will go to support our Soldier Event!